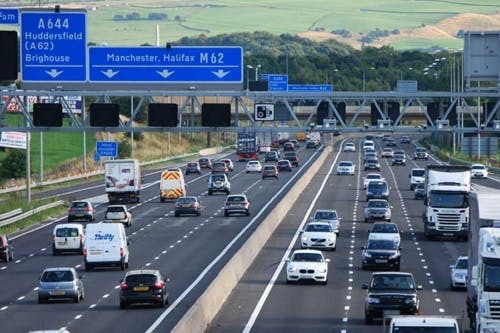 Highways England are set to trial new technology which would work to beam all kinds of road and traffic information onto a screen in your vehicle. Known as in-vehicle signage, it would use 5G cables to make motorists aware of everything from the current speed limit and lane closures to any upcoming roadworks. It’s their hope that the scheme will really help to improve general road safety and the flow of traffic to remain steady. This trial will take place on the A2/M2 section of motorway which runs from London to Dover and last from the start of November 2018 till the end of December 2018. For the purpose of the trial, a special type of screen will be used in the test vehicles but if it’s a success, Highways England will more than likely explore ways to incorporate existing infotainment screens into the mix. Some however have voiced concern over the technology with Steve Gooding from the RAC foundation warning that physical traffic signs provide “the perfect back-up for when the high-tech solution fails”. “While having still better, faster real-time journey information displayed in-vehicle is a good thing, we’re a long way from having technology in every vehicle that completely replaces the reassurance we get from having a permanent sign." In-vehicle signage is part of a larger project between the UK, France, The Netherlands and Belgium to create much safer, more efficient roads.